The U.S. Supreme Court today let stand its decision to temporarily block a law in Arizona which limits the availability of increasingly popular abortion pill. The court gave no reasons for its decision to do so, as is the custom. The Arizona law had earlier placed a limit on the number of such pills (popularly known as “Morning After Pills”) that could enter the state. The Legislature said the law was meant to protect women from the dangerous and potentially deadly off-label use of abortion-inducing drugs. Nearly half of the abortions in the state of Arizona were attributed to the use of the abortion inducing pill mifepristone, commonly known as the RU-486. It was earlier approved by the FDA in 2000 for use during the first seven weeks of pregnancy. Scientists had later come up ith a safer version of the same which made the drug safe for use till the ninth week, using smaller doses of the same. Since it is a much cheaper and safer alternative to the usual abortion procedure, the drug has become extremely popular in the last few years. It also makes abortion available in areas where abortion clinics have had to close down under public pressure or new state laws. While it makes an abortion simpler and cheaper, the side effects arising from the use of Mifepristone are harmful. 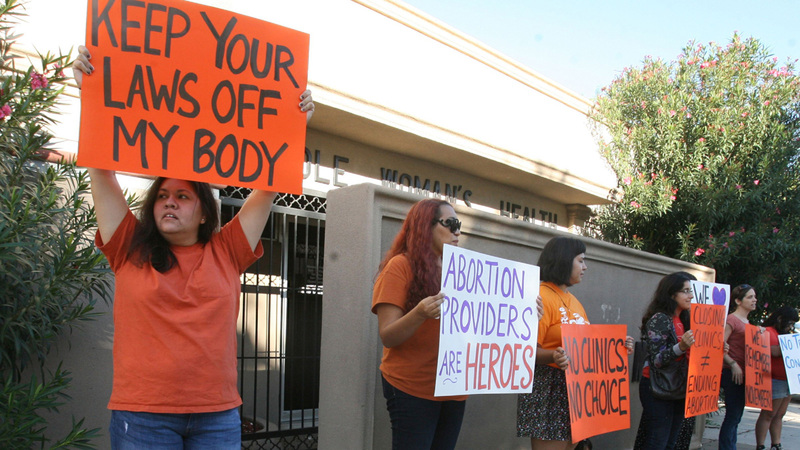 The predominantly Republican state of Arizona tends to have a stance towards outlawing abortion. The law passed by the state to limit the availability of abortion drugs was done to safeguard the health of women who are often prescribed these by their doctors without mentioning the serious side effects its usage could lead to. Mifepristone helps terminate an unwanted pregnancy by blocking the action of progesterone, a hormone essential to sustain the pregnancy. It is used in combination with a second drug, misoprostol, which causes the uterus to contract and to expel its contents. The F.D.A. has not approved misoprostol for abortions. As the Supreme Court refused to intervene on Monday, it means that the Arizonan law about limiting the use of the controversial drug will not be enforced.